The mainstream media says that it is foregone conclusion. After 12 years of a Labor Government voters in SA want change and a new majority Liberal Govt. With Tasmania going Liberal it will be Liberal Governments everywhere in the Australian federation except in the ACT. Public polling indicates that the Liberals will win the election in SA. So this election is done and dusted. In digging a bit deeper we find that what is certain is that Labor will lose some of its 11 marginal seats that it managed to sandbag in the last election in 2010 and retain by less than 5%. The key question is how many marginal seats will it lose, given that the Liberals are expected to win Mount Gambier from independent Don Pegler. A net loss of 3-5 Labor seats to the Liberals would lead to a hung parliament. If the Liberals win 6 seats they will be able to form government in their own right. Labor's primary vote is low---it's around 37% in metropolitan Adelaide, down from 43% in 2010. As always it needs Green preferences to survive. The Canberra Press Gallery narrative is that the swing to the Liberals appears to be higher in Adelaide, giving the Liberal party a good chances of cleaning out some Labor's marginals with a 2PP that otherwise would probably not be enough. What is interesting is how the ALP in SA is not facing a Tasmanian style wipeout even after 12 years in power. With Newspoll indicating a late swing to the ALP, we are probably heading for a close result and, possibly, a hung Parliament.The Liberals will concentrate on Tasmania as they can write their "Greens are finished" rhetoric, and that Labor needs to burn every connection to the anti-business, anti-reason Greens, who are dreamers not doers. The Weatherall Labor Government has defended its economic interventionist in opposition to the Marshall Liberal Party's free market economics of small government + low taxes, which implies a radical program of public sector cuts. Who ever wins, the new government will have to face the consequences of the collapse of the Australian automotive industry, on-going de-industrialization, the end of the low-cost model of South Australian economic development, high unemployment and the Olympic Dam project staying on the back burner. A smart growth strategy is needed in Australia, one that better harnesses the very considerable talents available in our universities and creates new and very agile institutions capable of driving successful knowledge transfer, innovation and commercialisation.Researchers working with industry in both advancing and applying knowledge are easier said than done. We underinvest in this and urgently need to create a network of industry innovation centres to fill the gap. How will this happen in Adelaide? What are the possibilities? The politicians didn't say that much during the election campaign. Neither did the Canberra Media Gallery. The latter see that as policy and they are more interested in the details of horse race politics. So all we have are gestures about high tech manufacturing, food exports, branding, bio-tech innovation and opportunities for universities. These gestures are summed up by 'smart city'. It was not a night of celebration for the Liberals in South Australia as they'd expected, despite their win of about 52.5-47.5 on two-party preferred vote. The public voted Liberal but they are not getting a Liberal government. Just like the last election in 2010. The problem with the disconnect between the popular vote and the seats is that the Liberals have consistently massive majorities in rural seats and they have lost seats to Independents. The Liberals needed six seats to win government, and they only clearly won two from Labor (Bright and Hartley) and one from an independent (Mount Gambier). However, it does look as if late-count rehearsals will add Mitchell to that list. Though Labor can yet get to a majority if they can hold on to Mitchell, that is unlikely. The most likely result at this stage appears to be a hung parliament, and it will be the two returned independents, Geoff Brock in Frome and Bob Such in Fisher, who will decide the issue. A Liberal majority government at the upcoming Tasmanian state election has been predicted by every Newspoll. The e figures suggest that Tasmanian Labor is in a death spiral. Weatherall + Labor hang on in South Australia. The result in South Australia, according to the ABC computer is is finely balanced. Labor is on course to win 23 seats and the Liberals set to win 22. The target for each party is 24 seats or more. It appears that two independent MPs may hold the balance of power in a minority government. That will all be dependent upon postal votes, however. A quarter of voters chose to vote via the mail in South Australia, with the final total set to be tallied tomorrow. Labor is crushed in Tasmania, losing power after a 16-year tenure. They have six seats. The Greens lose three seats and now only hold 2. Tasmanians are a lost cause. A possible scenario in SA. The Liberals pick up Mitchell and that makes Labor 23, Lib 22, plus the Independents Such and Brock. If that is the case, then the Liberals would struggle to form a stable government. With one Independent as Speaker, the floor would be 23-23, unless a Labor member became Speaker. The Labor scenario looks more promising. Brock supports Labor and Such as Speaker if Liberals pick up Mitchell and nothing else. Brock has previously rejected being Speaker because though it benefits him personally it has no benefits for his electorate of Frome. He wants improvements in infrastructure, jobs health and education improvement in Frome. Or would the two Independents go with the Liberals by taking into account the much higher 2PP of the Libs. The Right wing conservative attack on SA Labor has begun. The Liberals won the majority vote but not the majority of seats so the electoral system is corrupt (gerrymander); and the Independents should support the Liberal Party because their electorates are Liberal ones. 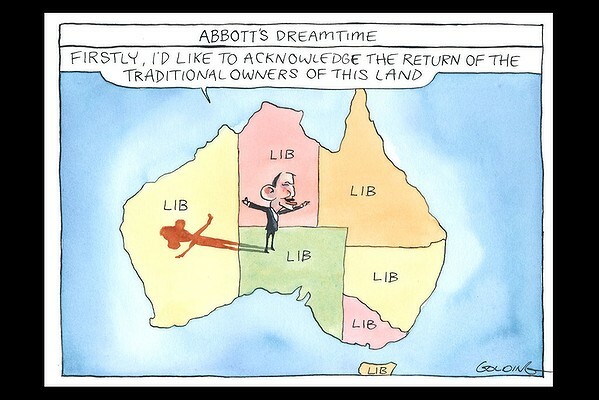 The Conservative claim is that SA has all the appearance of being a gerrymander that favours Labor. This was the fourth election since 1989 in which the Liberal Party has won the two-party-preferred vote but failed to form majority government. Such continuing anomalous results point to the possibility of skewed electoral boundary. How can it be Labor gerrymander when the state parliament in the 1980s passed legislation requiring the boundaries commission to redistribute seats to reflect more accurately the statewide vote after each election. The boundaries commission is an independent body. The Conservatives continue to bang their old drum. If Labor is to regain mainstream popularity and relevance it will need to learn to hate the Greens as a parasitic organism on its left flank, rather than continually be tempted to follow its emotive policy posture. So says Chris Kenny who expected a solid Liberal win in SA. The South Australian Liberal Party is pinning its hopes on a record number of pre-poll and postal votes to scrape it into government. They say they are still in the hunt and the Liberal Party was ''still in the hunt'', and that they remain very open to seeking the support of the two independents. No matter how much policy info and ads you put out there a high percentage of people will vote on what the leaders look like and how they come across. The labor leader looked more roll your sleaves up and get the job done. That appeals to young ,old. men and women. The Libs based their campaign on the premise that the voters were sick of Labor and ran with a leader that didn't look the part. Lets cut to the chase the SA election ended up with a 53 per cent two-party preferred vote across the state in favour of the Liberal party. However, the South Australian Liberal Party is still incapable of translating that into a workable majority government by campaigning in the right marginal seats. "The Conservatives continue to bang their old drum."